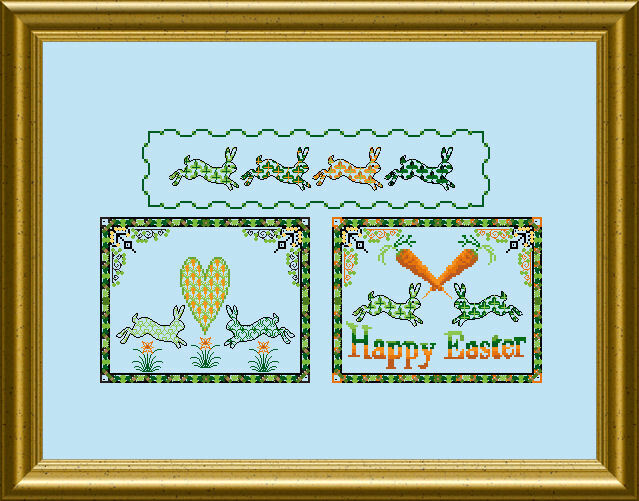 This is another set of small and fast-to-stitch but pretty Easter designs – with a wink of the eye. Usable as small gift or Easter card insert – whatever you imagine, it will work. 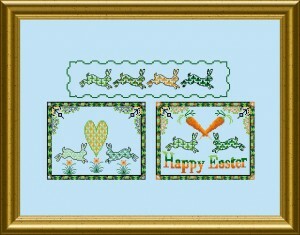 You can prolong the border Bunnies to stitch on a table runner or terrycloth border… there are many possibilities !